IPO is the term used when any company uses to offer the stock shares to the public and it is also known as “going public” in general terms. IPO is the situation when the company owners will give the part of the ownership of the company to the stockholders. In this kind of situation, the company will go public for raising the financial situation of the business. It is like a milestone for private companies because it will be beneficial to boost the business in a proper way. It is the main reason when any company choose to go public. With IPO, it is possible to raise the cash value between $100 million to $150 million. Some of the companies also made the value of more than $1 billion with it. Facebook is a good example where there raise the value of $5 billion with it. Such huge amount is very difficult to make only with hiring employees and providing facilities to create the products and services. In this kind of cash value will be very beneficial for existing shareholders and it is also very beneficial for the growth of business. For any company, it is always a big achievement to become a public link trading organisation. It is also considered as a perfect statement for the better future of organisation. If you are owner of any organisation and you want to achieve the goal to get a large number of customers for your business products and services, it will be very beneficial to achieve such goals for your company. IPO will always help to improve the stability of the organisation in the industry for a longer time. It is very difficult to determine the value of private stocks. It is all because of the difficult process of conversion into the cash. On the other hand, there will not be such kinds of issues with public stocks. After that, an organisation can use the value of stocks in the form of currency to make the transactions with other companies. Currency is one of the main reasons of using IPO by the companies. Liquidity is also one of the main causes when companies in system go public with IPO. At that time, the company will reward the supporters for all the risk-taking and efforts. Sometimes, the employees can make money more than their salary by selling the shares and by getting the rewards. Because of the liquidator, thousands of the employees of big companies like Facebook are millionaires now. Therefore, it is always a plus point when the company choose the process of IPO. These are some of the top reasons to go for IPOas an organisation. There may be many more reasons and advantages when the company wants to go for this next step towards success. After that, it is easy for the companies to raise the value of funds to make big revenue for the organisation. The company can also of the security is to acquire any other organisation with the transactions. It is also very beneficial because of the indirect advertising of organisation. It also affects the brand equity and public for any company. 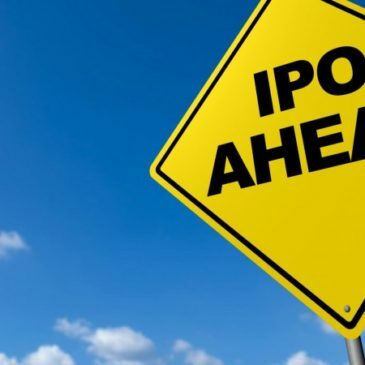 Therefore, many well established and big business companies preferred the process of IPO and made good money as well as reputation in the targeted market with it.